Welcome to a delicious variety of expressions on modern love that would have made the ancient Greeks (and their 4 words for love) proud. Seven films of romantic love, love lost, love found, roach love, and everything in between. With Valentine's Day around the corner, fear not–you'll never be alone with this cast of characters. Featuring a wide range of ages and desires, their pleasures and pains might just remind you of a past experience (or two) from your own life. directed by Jessica Joy Wise | 7 min. 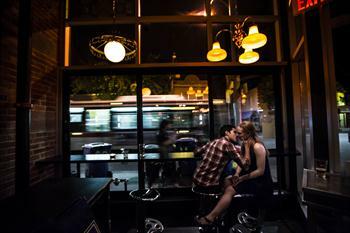 Your Place Or Mine follows the first vital hours when Annie and Danny meet. Will their romance be short-lived or the beginning of lasting love? directed by Jonathan Langager | 15 min. 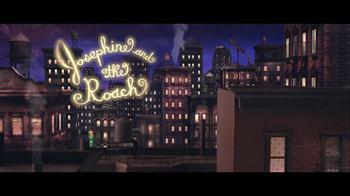 Josephine And The Roach is a surreal, offbeat tale about a cockroach that falls in love with the woman whose apartment he infests. Together, they play beautiful duets on their violin and accordion, only to be interrupted by Josephine’s brutish exterminator husband. directed by Jill Clark | 5 min. A steamy vision of love on a subway train in NYC. The film is part of the New York Subway Film Series, an omnibus collection of films by different directors, based on poems from Token Entry: Poems of the NYC Subway, edited by Gerry LaFemina. Poet, Dean Kostos. directed by Eduardo A. Garcia | 15 min. From the perspective of phone conversations, we follow three lovelorn individuals against the backdrop of a dazzling city, filled with bright and lush colors. One person seeks to end a relationship, the second longs for a past love, and the third initiates a new relationship. directed by Mariko Takai | 9 min. An aging psychiatrist struggles with her emotions as she decides whether to terminate her relationship with a younger man. Can love transcend age? directed by Kyoungju Kim | 15 min. An eighty-year-old woman goes on journey after receiving a long, awaited letter from a past lover. 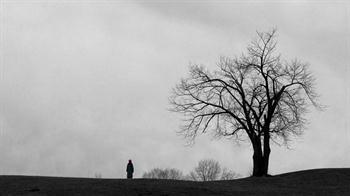 Winter Shower is a meditative statement on loneliness and coming to terms with the unchangeable past. directed by Armando Hermosilla | 16 min. James is a successful and attractive businessman who will be married tomorrow, but first he must resist a beautiful temptress and endure torture at the hands of his fiancé’s father. Will James’ love be strong enough to reach his wedding day?